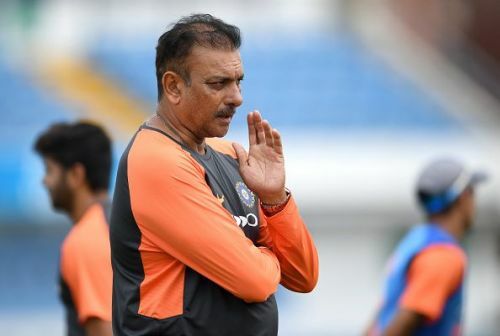 One of the highest paid coaches in international cricket at the moment, Ravi Shastri is under the scanner after India’s poor performances in the ongoing tour of England. Though they have won the Twenty20 series, they lost the ODI series 2-1. They are also trailing the Test series 3-1 at the moment and in bad shape to lose the fifth Test as well. Some of his team selections and aggressive comments in the press conference did not go well with the fans and former Indian cricketers. Former players like Harbhajan Singh, Sunil Gavaskar, Virender Sehwag, and Sourav Ganguly have lashed out at Ravi Shastri for his attitude and behavior. Talking to a TV channel, Ganguly pointed out that "while Virat Kohli is owning up to the team's defeat, coach Ravi Shastri is talking in a different tune and belittling past Indian teams when questioned about the team's performance". Responding to Shastri’s comments that the current Indian team is the best touring squad in the last 15-20 years, Gavaskar told India Today, “What I can say is that teams in the 1980's have won in England and West Indies. Rahul Dravid also won series in West Indies in 2005, in England in 2007 and captained when India beat South Africa for the first time (in South Africa)“. Indian fans are beginning to raise their voice against Ravi Shastri and wants BCCI to sack him right after the England series. On that note, let’s take a look at the 5 Indian cricketers who could have been a better coach than Ravi Shastri. VVS Laxman is one of the most successful batsmen to have represented India in Test cricket. He has led Team India to some of the most memorable wins in Test match cricket, particularly against Australia. 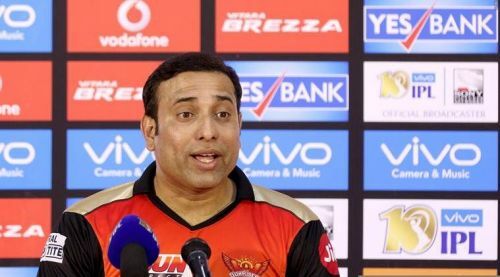 VVS Laxman was the coach of Sunrisers Hyderabad that finished runner-up in the Indian Premier League 2018. Even without their star batsmen and captain, David Warner, Sunrisers Hyderabad played well under the mentorship of VVS Laxman. VVS Laxman has done a pretty good job with a young SRH team and took them to the finals. Though Laxman hasn’t coached in international cricket, he possesses a great cricketing brain and is also one of the most respected cricketers. He enjoyed a lot of success as a batsman in overseas conditions and that could certainly help the current Indian players. Does the best batsman make the best captain?